Social Networking sites are the best ways to build a social networking presence of your blog site. But investing quality time and building your online presence is the toughest task in hand. Aside to Social Networking presence you have to create awesome contents, do guest posting, SEO. But if you are missing quality traffic from Social sites you are missing a big opportunity to leverage presence online. The social media is all about sharing and gaining you can refer to this post on using the Social sites at it best. 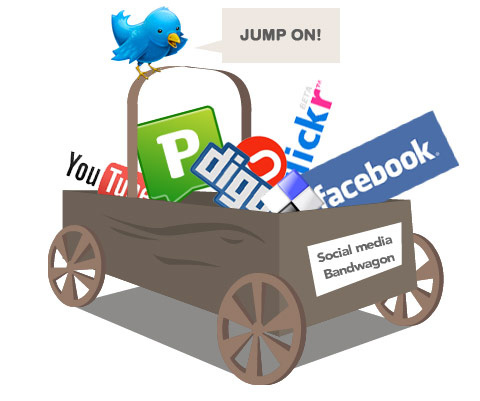 Be it Twitter, Facebook, LinkedIn or numerous other sites which are always in the race of being number one in popularity. The popular sites are the best way to build upon your website’s brand as well as getting chunks of backlinks and free traffic towards your blog. What you are willing to learn and what you learn everyday? Put Poll in between the users to learn new thoughts on Business, Marketing, Technology etc as per your niche. Using Social network for best utility as per this Eg. If you use Twitter for reading 1 article a day on How to blog and its best practice, you don’t require to attend Blogging workshops. With Who am I rounding up with? Social media tools helps in your discovery for new friends, colleagues and thus deepen professional ties with online friends. If you desire to be consistent in expansion in your Social network online, consider reducing number of face-to-face events you are planning to attend. How can I replenish myself? What you feel makes you feel relaxed: Watching you favorite match on TV or hanging out with online friends on Facebook? You sometimes have to dump your lesser-satisfactory hobbies as in compared to some of your latest social networking activities. Be cautious in approaching your potential readers and the time you are sending triggers to them, look at analytics when your readers are more prone to click and read your post. This could be understood by doing tests on various time slots and hence catching the right time to send in the trigger. Also triple confirm your response if you are responding to queries of a reader mass marketing platforms like facebook and twitter is the face of your brand away from your website. Sharing in-dignified news and post should never be shared liked or commented by your brand. Individual are expected to make mistakes but not brands. Likes and comment on your reader’s status updates should be in a way which suits your image, it should never look robotic nor should be too personal and interfering. Your brand is not only meant to share your contents online but it could also be meant to connect with your readers and a discussion forum to share your views and ideas. How you make best of your Social Networking Presence as a brand as a website? If you liked this post share it on Facebook and Twitter. Also share your experience post implementing this tips and if you have already implemented above said ideas share your experience with other readers here in comment form below. If you want to drop in an idea and get yourself featured in this website please drop in your ideas in contact us page.